Shaeffer wanted tigers, what can I say, they don’t make it easy on me! 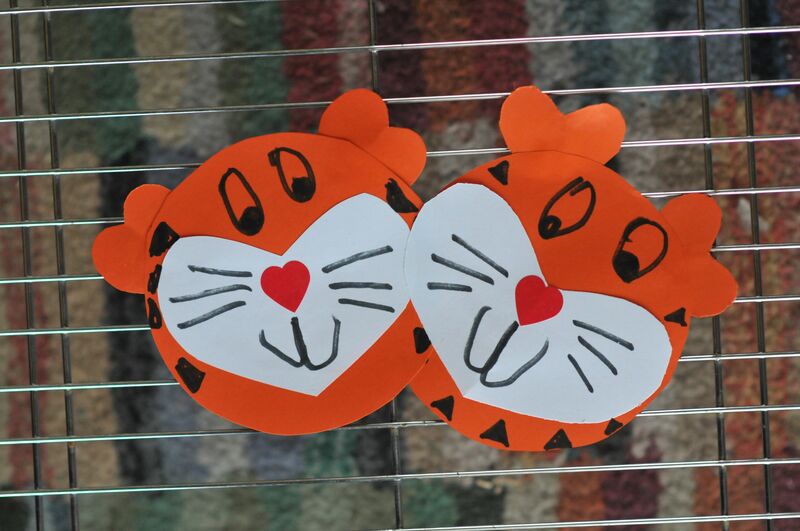 This is what I came up with for a tiger face with a few hearts to make it a little more valentine-ish! I’m guessing you can just copy these based on the picture…. We used heart stickers for the nose and he drew the stripes and face with marker… The rest we just cut out of construction paper! 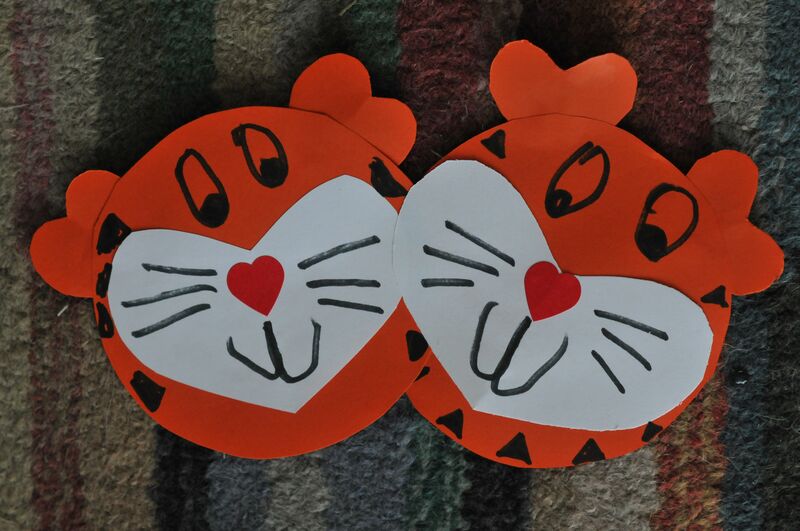 I thought we’d write “YOU’RE TIGER-RIFIC” on the back… Cheesy, I know, but Valentine’s Day does have a certain amount of cheese factored in, right?? ?